BSEU series Cam Clutch was developed as a user friendly backstopping Cam Clutch. 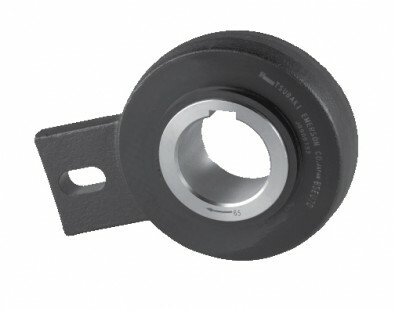 It has cam and roller construction which is the same as the smaller size BS series Cam Clutch. The outer race has a special shape which combines the torque arm providing easy installation. These cam clutches are shipped preluded and ready for installation. Most often used as a backstop in applications where limited space is available.